218 pregnant and lactating women were interviewed in an effort to determine patterns of care during pregnancy and lactation. The dietary survey was conducted by personal interview, and the mean intake of nutrients was calculated on the information obtained by a 48-hour recall method. 88.1% of the women were illiterate, 7.3% had a primary education, and 4.6% of the women had education above middle class. Most of the women were of low socioeconomic status, and around 50% had poor housing conditions and an unsafe water supply. The majority of the women had obtained antenatal services, but domiciliary deliveries by untrained midwives or by their own relatives were common. 74.3% of the women were mainly on a cereal diet; 25.7% had cereals with plenty of milk during pregnancy. The average calorie intake was 1605; the protein intake was 56 grams per head. The caloric intake was less as compared to recommended allowances, but the protein was adequate. During early lactation it was common practice to eat Achwani and Sithora. 17.5% of the women had no knowledge of family planning methods; 67.9% had knowledge but did not practice family planning. 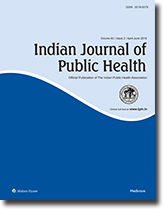 The mutual impact of India's family planning program and tuberculosis control program on each other was examined, and the conclusion reached that close cooperation between the 2 programs would have mutually beneficial results. The impact of the diagnosis of pulmonary tuberculosis on the family planning practices of 367 male and 290 female patients at a treatment clinic in Aligarh District was assessed. Prior to diagnosis only 10% of the patients practiced contraception, after diagnosis 19% practiced contraception, and after disease stabilization 29.5% practiced contraception. Among those patients who began practicing contraception after diagnosis, about 1/2 were motivated to practice by their physicians, and the remaining patients were motivated to practice either for economic reasons or because they feared spreading the infectious disease to an infant. About 2/3 of the tuberculosis patients had 3 or more children, and about 90% belonged to the lower socioeconomic class. Among female patients, disease onset occurred for 49.7% within 1 year of childbirth, and for 29.3%, it occurred during pregnancy. These findings suggested that an increase in the acceptance of family planning among members of the lower class and among high parity women would contribute toward decreasing the incidence of tuberculosis in the country. Clients who practiced contraception were also more likely to attend the tuberculosis treatment clinic on a more regular basis than non-practicing clients.